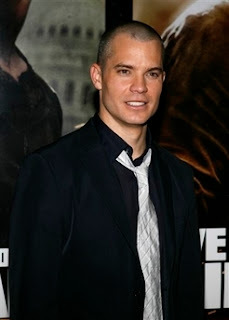 Timothy Olyphant has a new look that I actually like very, very much. I don't know what is it about very short hair, but man he looks hot. We will be able to see him in the upcoming movie "Live Free Or Die Hard"
Beautiful Josh Strickland will no longer be Tarzan, since the producers ofthe show have announced that the musical will be closing July 8. 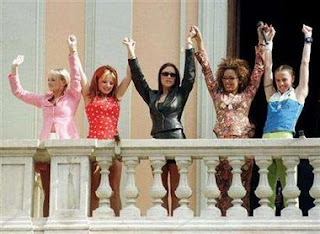 Well I can tell Josh that "He'll be in my heart"
OK the Spice Girls are suppossed to make an announcement about doing a new album and a tour. To be perfectly honest if this happens I can forsee a divorce coming pretty soon to my friend Posh Spice and prrbably a not so successful reunion. Hope I'm wrong. He is Thomas Dekker celebrating as he crosses the finish line to win the sixth stage of the Tour of Switzerland. With that outfit I would be more than happy to give him a hug, a massage and whatever he needs to celebrate. Marc Gicquel was hit in the testicles by a tennis ball during a match, I can understand the pain, but doesn't the picture look hot? And here we have Luxembourg's Frank Schleck... show off! I have said many, many times before that I do have a fetish with spandex shorts (and I am not ashamed of it), so whenever I find a picture like this, I just have to share it because I know I am not alone on this. He is US track star Jeremy Wariner. 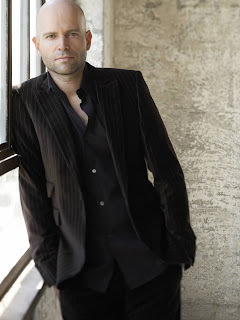 Sony Pictures anounced that the next James Bond film will be directed by Marc Forster. Forster, who I wouldn't be afraid to call exactly the type of man I like, has directed movies like: "Monster's Ball", "Finding Neverland" and "Stranger Than Fiction". Have to say that it seems like an odd selection, his experience is more with dramas than action films, but it could be a nice change for the 22nd movie of 007. David Beckham is done with the Real Madrid and he is finally here in the US. The LA Galaxy will be playing against the KC Wizards on September 27 here in town, needless to say that I already have my tickets! Did I mentioned that this picture shows a nice package? Hillary Clinton's campaign has created a video based on the final scene of "The Sopranos"where she also introduces the song that will be her campaign theme. This song is Celine Dion's "You and I". Last night "America's got talent" had the best eye candy that I've seen so far in the show. This group called Sideswipe a combination of martial arts, gymnastics and acrobatics that blew the judges away. 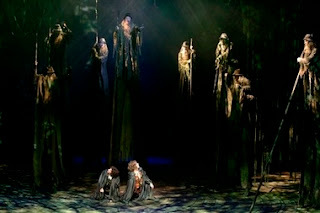 The 25 million production of “Lord of the Rings” officially opens in London tonight at the Theatre Royal. Apparently the London version will be shorter than the one in Toronto, but for the pictures that I’ve seen it looks like a great production. Julia Roberts and Danny Moder are parents once again. His new born baby Henry Daniel Moder was born this morning in Los Angeles. According to Access Hollywood, the baby weights 8 1/2 lbs. Congratulations Julia, Danny, Phinnaeus and Hazel! I know this photo is old, but just found it and I had to share it. One of the best things about lycra shorts is how goodof an idea gives us of what is underneath. Nice package Matthew! 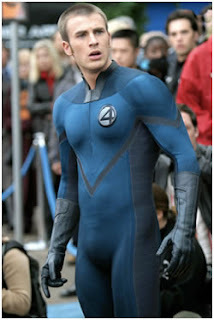 Chris Evans is Johnny Storm in the recently released movie “Fantastic 4: Rise of the Silver Surfer. He was born in Boston on June 13, 1981 so he just turned 26. Some of the movies that he has done include “Cellular”, “The Perfect Score”, and “Not Another Teen Movie”. 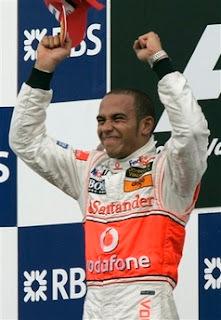 McLaren Mercedes Formula One driver Lewis Hamilton, of Britain, won the United States Grand Prix auto race at the Indianapolis Motor Speedway in Indianapolis today. Congratulations! And my choice for Father of the year is (drums): Hugh Jackman! 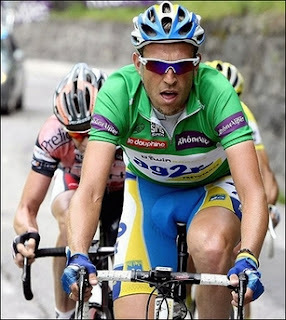 I found this nice picture of French Christophe Moreau riding during the Dauphine Libere cycling race. 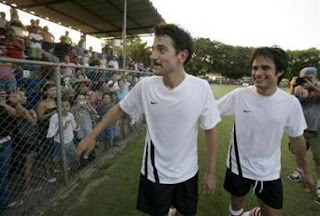 I've always liked guys in soccer outfits, and I have always liked Gael Garcia Bernal and Diego Luna so when I saw this picture, it was like a match made in heaven. Enjoy! Yesterday I had the chance to enjoy the 7th Annual 18th Street Fashion Show, the theme this year was "A Summer Wonderland", they did a very nice job this year. Congratulations to all!